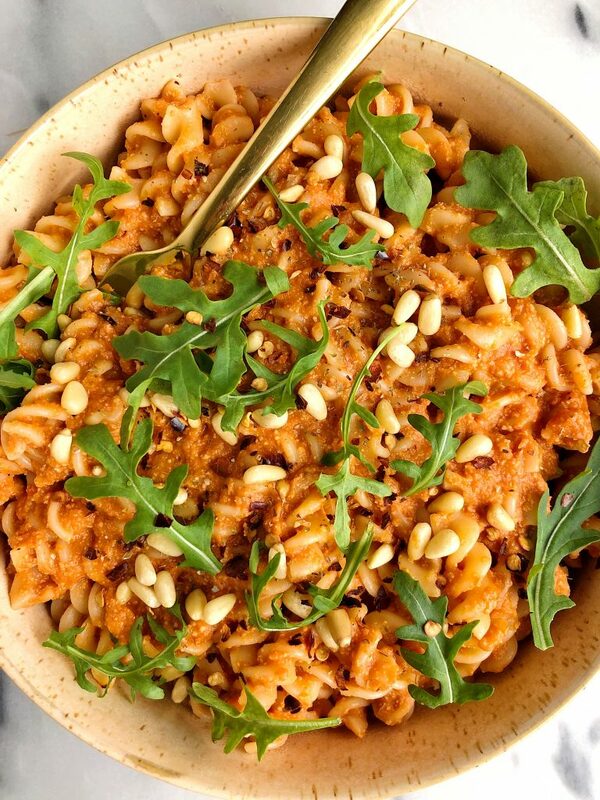 Healthier Dairy-free Vodka Sauce made with simple and easy ingredients for an easy homemade and healthy penne vodka sauce! When I was younger and we went to an Italian restaurant, there were one of two things I ordered: pizza of sorts or penne vodka. The creamier the vodka sauce, the better it was. Except I never was a fan of the peas that restaurants added. Anyone else? You also couldn’t pay me to eat a veggie those days, ha! 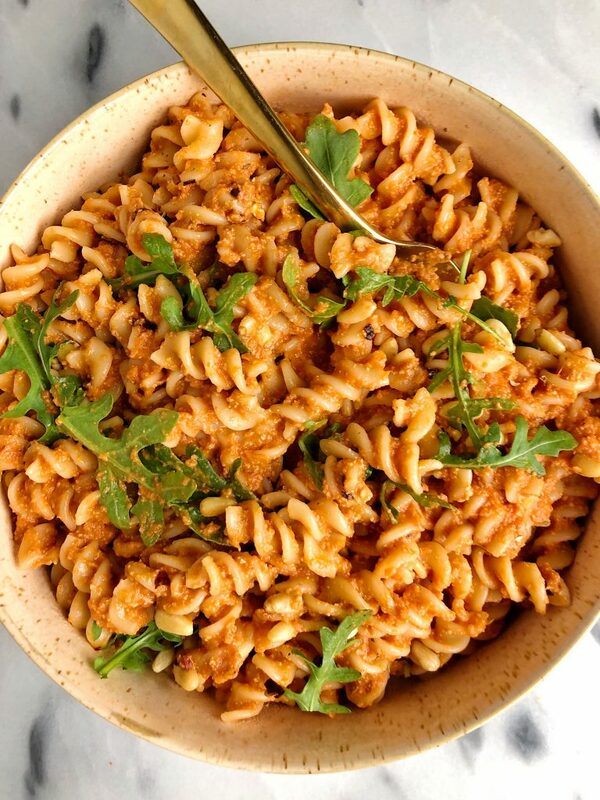 Today we are making a much healthier vodka sauce to toss with your favorite pasta than what we are used to in the restaurants. No heavy cream involved, just a few simple ingredients and you are going to be in complete pasta heaven. First up we are using roasted and salted cashews to make a cream of sorts instead of heavy cream. I prefer using roasted and salted cashews for this instead of raw unsalted because it makes them much more flavorful to add in the sauce. I also add in one of my go-to cooking companions, Bonafide Provision’s Organic Chicken Bone Broth. You guys know my love for that bone broth is real. I have been using it now for over two years and it is a complete staple in my fridge and cooking at all times. I love adding bone broth to this sauce for added flavor, protein and nutrients. I chat more on my obsession with bone broth here for you guys! Enjoy this sauce with your favorite noodles and enjoy friends. 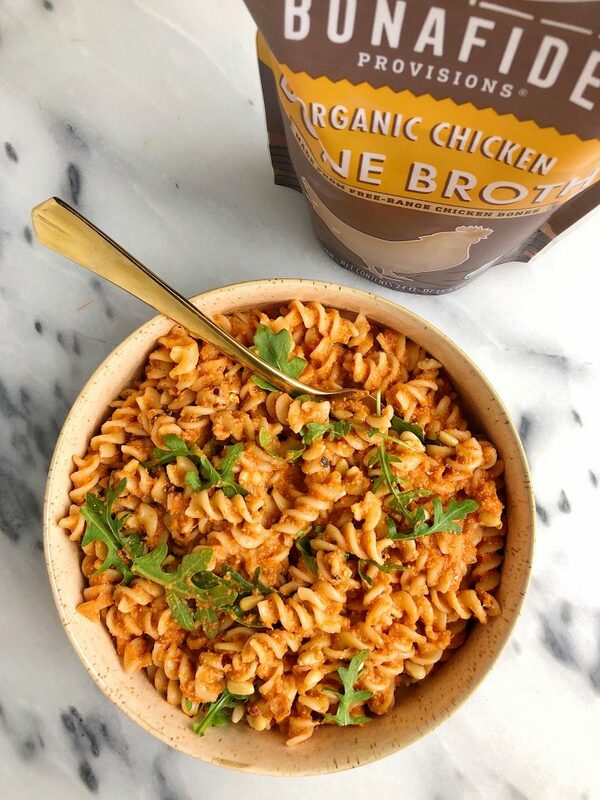 Once you have some of Bonafide’s broth opened, here are a few of my other favorite recipes using it: Homemade Bone Broth Ramen Bowls, Easy Sesame Peanut Tahini Noodles and Sweet Potato Quinoa Enchiladas. Once pasta is ready, mix with sauce and enjoy! Thank you Bonafide Provisions for sponsoring this post. It means so much to me to partner with brands I love and believe in!